Most people spend 1-2 hours at the attraction. Worldwide oddities, strange human conditions and interesting artifacts are what you'll find in the Guinness World Records. Read fun facts and take an up-close look at some of the world record holders and see just what they accomplished in their lifetime. Some stunts are truly amazing, while others may seem silly but prove to be harder than they look. How would you measure up against the tallest man in the world, standing at a colossal 8'11'? Or weigh in and compare your friends and families combined weights to that of the heaviest man in the world at over one thousand pounds. Read into some of Elvis' greatest achievements included in his exhibit, see how much Michael Jackson's 'Thriller' jacket sold for on auction, and see a wide assortment of world records in the world of sports. Feast your eyes upon the smallest bicycle ever ridden, the largest collection of Pokemon memorabilia, counted in at approximately 14,000 pieces, or the world's largest crocheted afghan. Walk through an extensive space exhibit and see some of the many world records held in space, and stand in the jaws of the biggest shark in the world! You will see strange artifacts from all over the world when you wander through the Guinness World Records. This is definitely a destination for the whole family to enjoy, so bring your friends and family and see if you can beat some of the world records. See the amazing Guinness Book of World Records, brought to life in this incredible gallery of the superlative. 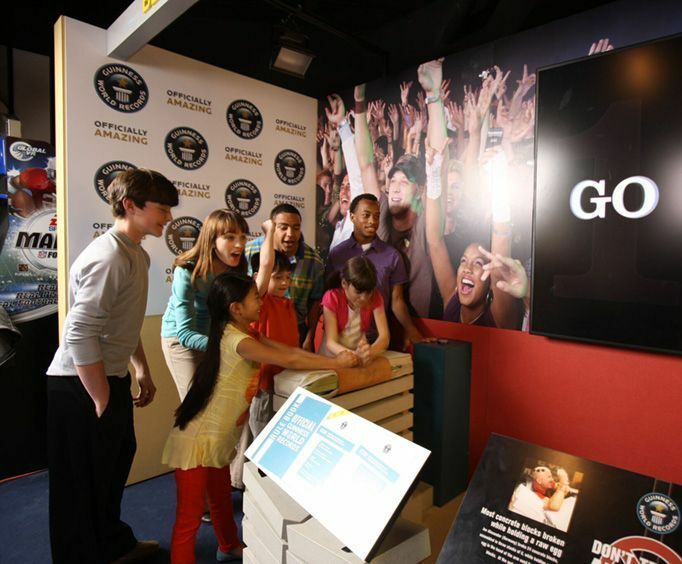 Experience the fun of the record book through displays, interactive games, and interesting trivia. The whole family will find something awe-inspiring in this fun building of record holders. Themed galleries and video will bring to life fascinating stories of the records and the people who hold them. You see hundreds of unbelievable exhibits of world records in sports, animals, human challenges and tons more. 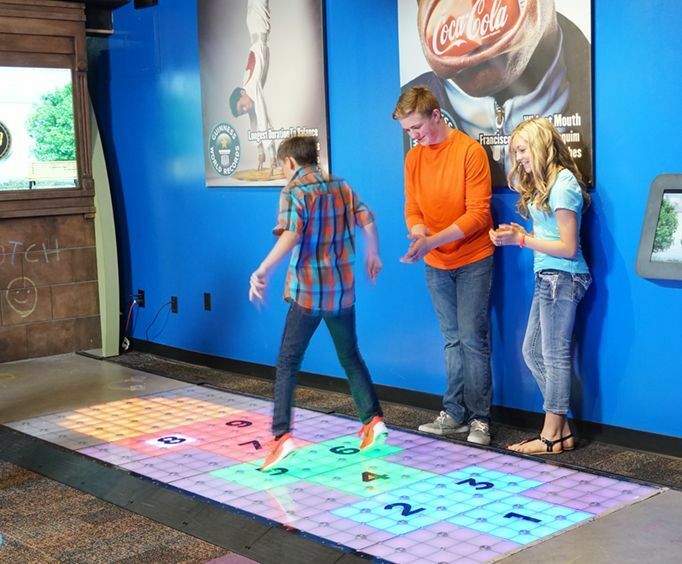 Plus find featured memorabilia of famous record holders, including Michael Jackson, Elvis, Michael Jordan, and many others. 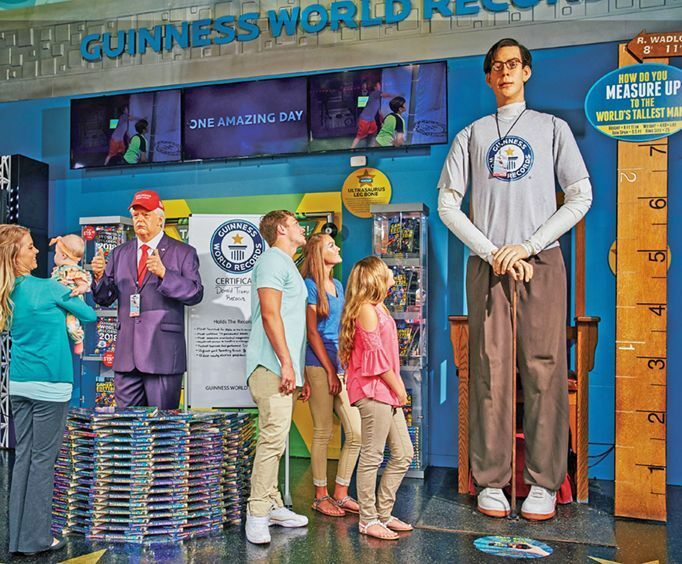 You know Ripley's always brings a lot of fun and interactive exhibits to their attractions, and the Guinness Book of World Records lives up to the name. What is included in the admission price for Guinness World Records Adventure? Includes all of the exhibits at the Odditorium. Approximately how long could a customer plan to spend at Guinness World Records Adventure? Is Guinness World Records Adventure handicap accessible? For what ages is Guinness World Records Adventure appropriate? Is parking available at Guinness World Records Adventure? Is it free?